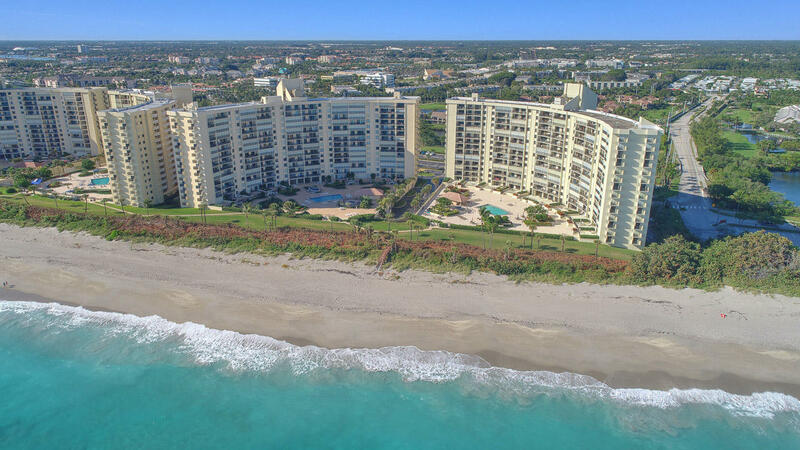 Exceptional 2/2 direct oceanfront condo in Jupiter. Sweeping 12th floor ocean view. IMPACT WINDOWS and SLIDING DOORS.Recently updated interior and this gem is being offered TURN KEY. Move right in with no projects! Smart investment too since the building was also renovated recently. Ocean Trail is directly on the beach in Jupiter. 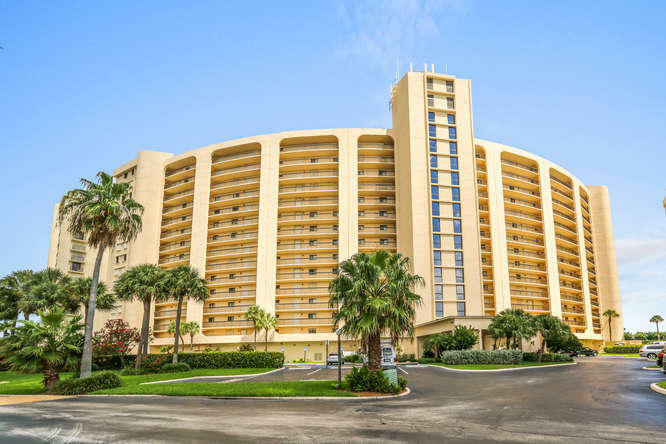 Enjoy heated pools, spa, tennis, pickle-ball, 24-hour manned security gate, secure under building parking, direct beach access, a renovated fitness room. It's all here and close to restaurants, bars, shopping, and 30 minutes from Palm Beach. Move right in and enjoy! Penthouse oceanfront condo on the sand.Due East panoramic views of the ocean..Newly painted, exquisite porcelain flooring,custom kitchen, new Maytag appliances in kitchen, plus large Maytag w/d. Split bedroom plan with oceanfront front views from all the rooms.Updated master bath and guest bath..the views from the condo of the ocean and off of the balcony may cause you to think that you are on a luxury cruise ship..furnished turn key with nothing to do once you are handed the keys..truly your very own oasis in paradise..deeded under building parking,heated pools, sauna,hot tub, 9 tennis courts,a pickle ball court, gathering room,fitness center all inclusive.Location,location,location.On the sand no streets to cross. 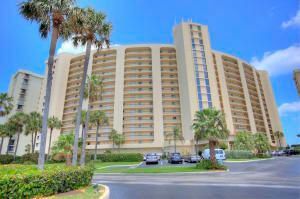 Direct oceanfront TURNKEY 2/2 condo freshly updated is on the 8th floor with exceptional, unobstructed views of the Atlantic Ocean. NE exposure allows for views to the Jupiter Inlet too. Renovated kitchen with new cabinets, sleek stainless steel appliances. Both bathrooms are updated too! Newer flooring throughout. This one is ready to go for you to begin enjoying this oasis NOW. Smart investment too since the building was also renovated recently. Ocean Trail is directly on the beach in Jupiter. Enjoy heated pools, spa, tennis, pickle-ball, 24-hour manned security gate, secure under building parking, direct beach access, a renovated fitness room. It's all here and close to restaurants, bars, shopping, and 30 minutes from Palm Beach. Move right in and enjoy! 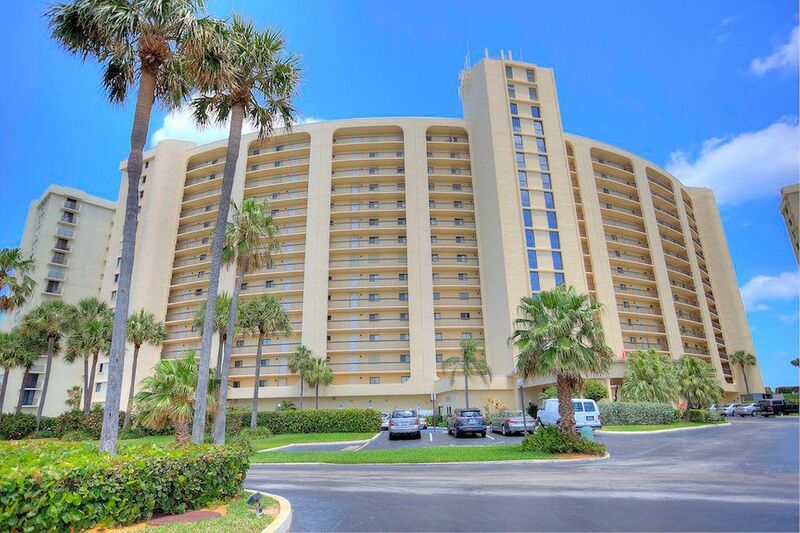 This 10th floor 2Br/2Ba oceanfront condo has been nicely updated. Panoramic views due east of the blue-green ocean water from every room. Enjoy a western view of the spectacular Florida sunsets, the Jupiter Lighthouse, 9 tennis courts,and the twinkling of the night lights over the city. Starting with the flat finish on the ceiling, custom molding defining the walls, to the tiled flooring. Master bedroom with sliders to the balcony,large walk in closet,master bath offers large glass shower, double vanity.Guest bedroom has entire built in wall with storage,built in desk area with view of ocean thru the picture window. 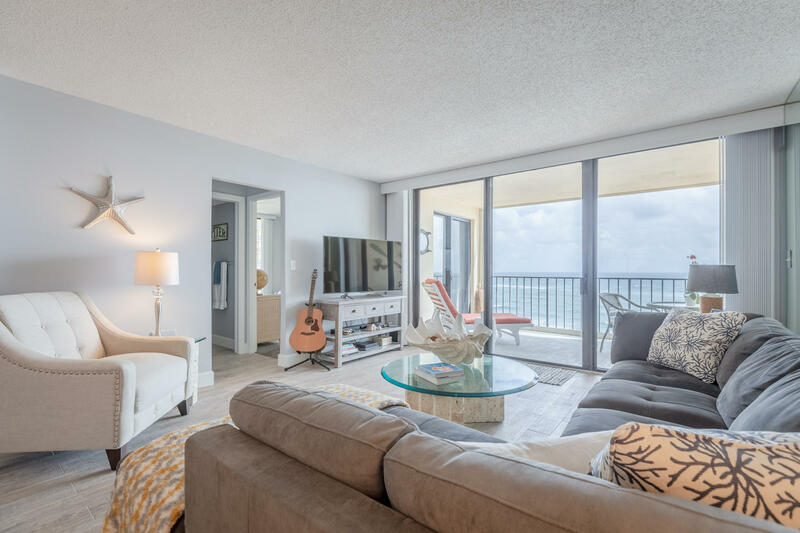 Furnishings included with few exclusions..
Beautiful direct oceanfront Jupiter condo with 2 bedrooms, 2 baths and 1170 sq ft with some of the best ocean views in Palm Beach County. Enjoy the ever changing blue/green hues of the ocean from the quadruple sliding doors in the spacious living/dining area with marble flooring. The chef of the home will enjoy this immaculate, updated kitchen with an abundance of custom cabinetry, sparkling stainless appliances, reaches of granite countertops and breakfast area. The master suite has sliding doors with ocean views from its own balcony, ensuite bath with separate shower and commode area, and a large walk in closet. 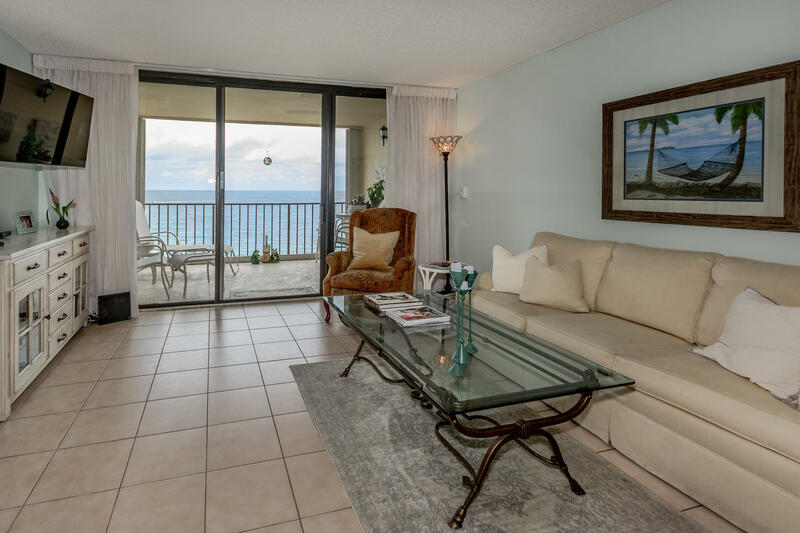 Remodeled furnished Oceanfront condo in the desirable town of Jupiter. 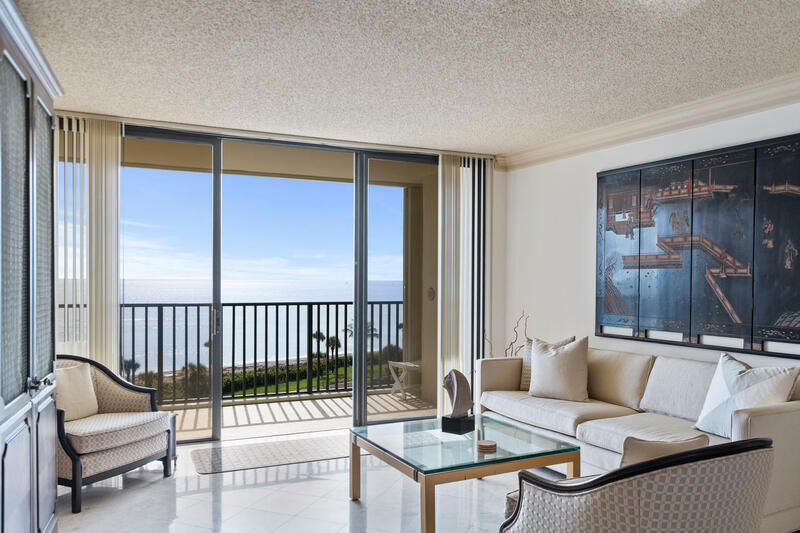 This 2bed,2bath has breathtaking ocean views from living room, dining room, and both bedrooms, and balcony,underground garage parking, manned guard gate for security. New kitchen, updated baths, new tile floor throughout, and washer & dryer in condo. Amenities include:exercise room,tennis courts, large pool,hot tub, spacious outdoor pool pavilion and indoor recreation room for entertaining, gate access to beach. Wake up and have your morning coffee with the sunrise & ocean breeze or fall asleep to then sound of the ocean waves. Watch the sunrise from any of your 3 balconies! Desirable end unit with extra space. Prime location with spectacular ocean view and direct beach access. Beautifully updated unit with wood grain tile throughout plus new carpet in bedrooms. New custom window blinds, new furnishings, custom California-Style Master Closet. 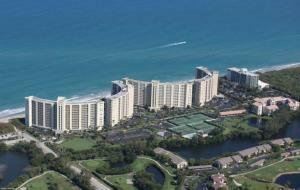 Jupiter's only condo development directly on the Beach ! 24 hour manned security, 9 tennis courts, breathtaking community pool overlooking the beach. Par 3 Golf Course in walking distance plus garage parking.